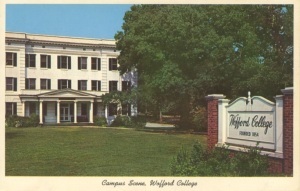 The founder of Wofford College was Benjamin Wofford. We all know that. But what many people don’t know is that there were a lot of men named Benjamin Wofford. Founder Ben had an uncle named Benjamin Wofford – known in the family as the rich Tory, and he also had nephews named Benjamin Wofford. 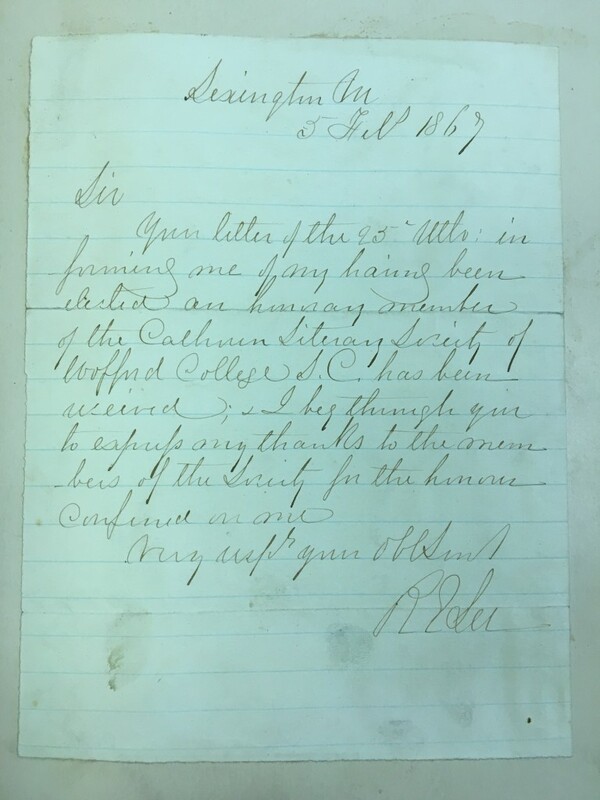 One of those nephews, Dr. Benjamin Wofford, was an early trustee of his uncle’s college. Some years ago, my predecessor, Herbert Hucks, attempted to collect as many trustee photos as he could. Looking in the files today, I found this photo of trustee Dr. Benjamin Wofford. This Benjamin Wofford, the son of Joseph Llewellyn Wofford, was born on January 19, 1819. He graduated from the Medical College in Augusta, GA and was named by his uncle Benjamin Wofford as a temporary trustee of the college in his will. In 1877, he was elected to the Board of Trustees, where he served until 1891. When he died on Easter Sunday, March 25, 1894, the college bell tolled 75 times for him. The student body escorted his coffin to the funeral at Central Methodist Church. The Wofford practice of naming children after brothers means that a lot of people claim descent from “Benjamin Wofford” – though founder Ben had no children. Some years ago, I gave a talk to the South Carolina Conference Historical Society about Methodism in Spartanburg. It is way too long to repeat here, but I want to mention just a few of the historic churches in this area that have contributed to the growth of Upcountry Methodism. On one of his 1788 visits to the Spartanburg area, Bishop Francis Asbury wrote in his journal, “Our Friends here on Tyger River are much alive to God, and have built a good chapel.” Three older congregations, Liberty northeast of Spartanburg, Shiloh in Inman, and Sharon near Reidville all have their roots in the late 18th or early 19th century. Liberty pre-dates the first Annual Conference in South Carolina, and made a traditional evolution from brush arbor to log structure to frame church. It has served as something of a focal point in the Liberty community for centuries. Church legend holds that famed preacher Lorenzo Dow helped organize Sharon United Methodist Church, which was called Leonard’s Meeting House, as it was founded by the Leonard family. 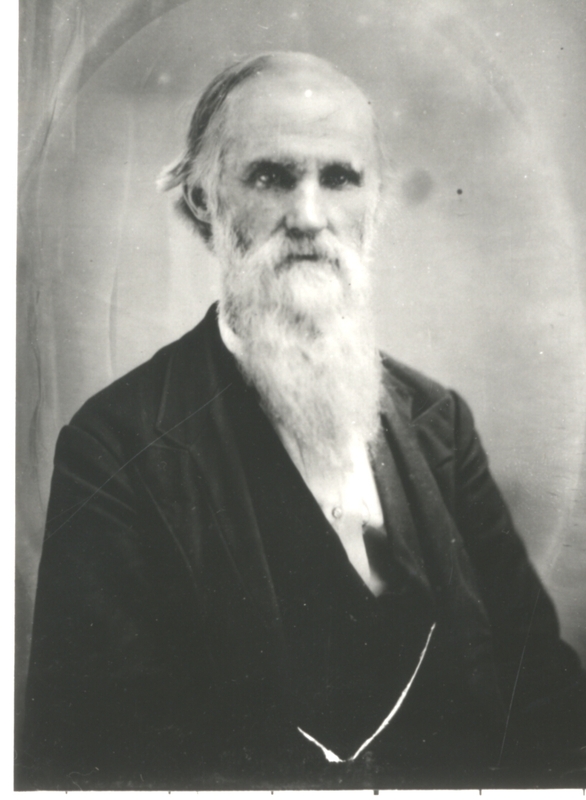 Lorenzo Dow was perhaps not the kind of fellow you’d want to invite to dinner – he was wild, unkempt, did not practice much in the way of personal hygiene, and was very enthusiastic in his preaching. However, during the Second Great Awakening of the early 19th century, he was one of the most influential preachers in America. Stories say that he could hold the attention of a crowd of 10,000, and his autobiography was one of the most popular books in America. One very old church structure that is no longer an active congregation is Shiloh, near Inman. The church was built between 1825 and 1831, though the congregation is older than that. The church and pews were built without nails. It was discontinued as a regular preaching place around 1912 – most of the people moved from the countryside around it into Inman – but it’s still maintained and there are two services a year there – Homecoming in May and a watch night service at New Year’s – as well as occasional weddings. It is a great example of what an antebellum church would have looked like. We’re all familiar with the stories of camp meetings, and many congregations around the state have their roots in camp meeting sites. Spartanburg’s Cannons Campground is one such church. In the history of their congregation, there’s a description of a Cannon’s Camp Meeting. The undated letter from an attendee notes that the camp meeting was one of the biggest events of the year in Spartanburg from the 1830s to the early 1900s. Always held in late summer to early fall, when the daytime temperatures had dropped somewhat but before the nights were too cool for sleeping outside, the revivals attracted attendees from all over the Upcountry. Services at Cannon’s were held five times a day, with time for breakfast, a large lunch and dinner, and plenty of time to sit around and visit with friends that they saw infrequently. There are obviously many more churches with long histories, including Silver Hill, one of many churches founded by Father James Rosemond after emancipation, which has been a beacon to African-American Methodists in Spartanburg for 150 years. Back in years gone by, when Annual Conference met in different cities around the state, the Advocate would often run a long article on Methodism in that particular county. Hopefully I can do that from time to time. 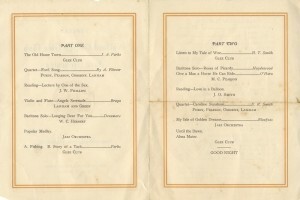 Recently someone handed me a program from the 1919-20 Glee Club. Since I like to share documents here when I can, and especially new acquisitions, I’m posting it here. Methodists, like any other group with a long history in South Carolina, have had to face questions of race and relations between African-American and white church members throughout our history. Over the next few years, a number of anniversaries will give us ample opportunities to talk more about these questions as well as the ways we have evolved into the conference we are today. 2016 marks the 150th anniversary of the founding of what has been historically known as the South Carolina Annual Conference (1866), the conference established by the northern branch of Methodism to minister to African-Americans in the Palmetto State. The General Conference in 1864 had authorized creating missionary conferences in the former Confederacy, and it was under this authority that a missionary Annual Conference convened on April 2, 1866 under the leadership of Bishop Osman C. Baker. Its first members of the conference were the northern missionary clergy, but on its first day, that conference admitted five African-American members. From that beginning came a century’s work in church building, education, and outreach in South Carolina. The need for ministerial education was immediately recognized, and the Baker Theological Institute was organized in Charleston. Dozens of men attended the institute for further ministerial study, and over the next few years, they were ordained into the ministry and joined the South Carolina Conference. Three years later, the conference established a university, the funds for which came from Lee Claflin and his son, Massachusetts Governor William Claflin. 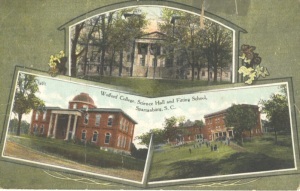 In 1870, the South Carolina Conference met at Claflin University. 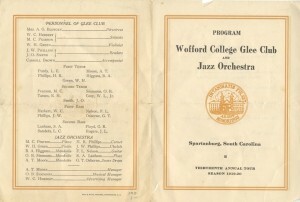 Claflin and the Conference became almost one and the same over the next decades. The state’s African-American Methodist clergy were educated there, as were teachers for the state’s African-American schools. Those individuals spread out throughout the state, founding churches in communities far and wide. During the period from 1866 to 1939, the two South Carolina Conferences, with their founding dates of 1785 and 1866, were technically part of two different denominations. They knew each other existed and even shared a common tradition, but they had separate ecclesiastical structures, different bishops, and different Books of Discipline. Much of that changed in 1939, when the three branches of American Methodism, after being divided for close to a century, and after two decades of negotiations, formally reunified into the Methodist Church. But, merger did not happen at the conference level, and as a compromise, the jurisdictions were created. African-American Methodists were placed into a racially-segregated Central Jurisdiction, and as such, South Carolina’s white and African American Methodists remained in separate Annual Conferences with separate bishops. Movements in the Methodist Church throughout the 1950s and 1960s sought to eliminate the Central Jurisdiction, and much of the turmoil in South Carolina Methodism 50 years ago revolved around how to resolve these issues. We’ll look at some of those questions over the next few months. I like to share interesting documents from time to time, and this one came up recently. As many of you know, the college had two literary societies that got their start before the Civil War. One, the Calhoun, started in 1854; the other, the Preston, in 1858. These societies were debating clubs, meeting weekly, and they are responsible for our oldest library collections, our student publications, and the beginning of our art collection. Sometimes, the societies elected honorary members. And so, this letter from one noteworthy southerner is in the collection. For many years in the early 20th century, Raymond A. Patterson was about a third of the science faculty at the college. A Virginia native and a 1916 Wofford graduate, Rick Patterson studied for his MA at Wofford before he served in the Army during World War I. 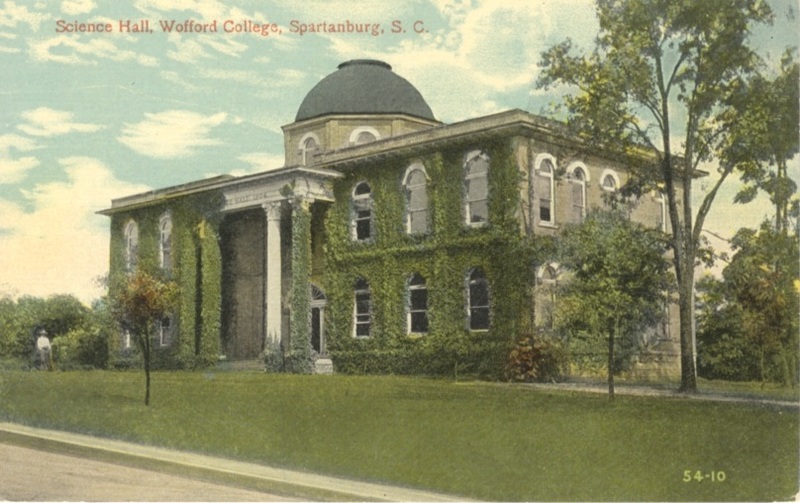 After a few years of teaching in a local high school, he joined the Wofford faculty as a chemistry lab instructor in the early 1920s. In 1927, he joined the faculty full time as both an instructor of chemistry and French. I guess faculty performed a lot of different duties in those days. Gradually, Professor Patterson moved into teaching only chemistry and biology, and he, along with Dr. Coleman B. Waller and Professor Charles S. Pettis, taught virtually all of the sciences. There really wasn’t a separate biology department until the late 1940s, so while he was primarily a chemist, Patterson, along with Waller, taught biology as well. That’s the reason that for many years, the Wofford biology department award was the R. A. Patterson award. 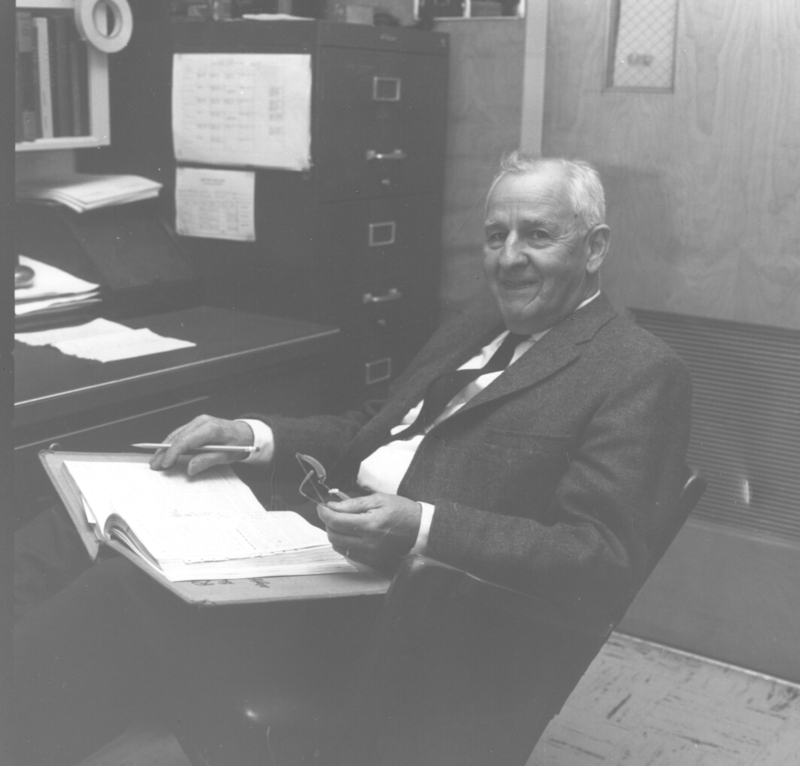 In 1949, with postwar growth in the student body and faculty, the college hired Dr. Ray Leonard to build a biology department, and Professor Patterson thus devoted himself to chemistry after that point. From 1946-59, he was the chairman of the chemistry department, and retired in 1966. While serving on the faculty, Professor Patterson also served as a bacteriologist and milk and water analyst for the Spartanburg Health Department, and also was active in the American Chemical Society’s South Carolina and Western Carolina sections. He was elected an alumni member of Phi Beta Kappa in 1950. One note when he retired – his home on Lake Lanier in Tryon often served as the location for the annual faculty picnic. So, in a way, Rick Patterson might be the grandfather of the old annual faculty-staff retreat (which is itself no more). Rick Patterson continued to live in Spartanburg until his death in 1972. Madame Marie Gagarine was one of those characters who frequently inhabits college campuses. She arrived at Wofford as a cold war Russian emigre and soon became part of the Wofford community. Madame Gagarine was also reportedly the first woman to teach courses at Wofford, as she taught some Russian as well as French courses. I’ve heard more than a few stories about her from many of our now-retired faculty. Her life spanned much of the 20th century, and she recounted her fascinating story in the late 1960s in her memoir From Stolnoy to Spartanburg: The Two Worlds of a Former Russian Princess. I remember reading the book as parallel reading in Dr. Ross Bayard’s Europe from 1914-1935 class some twenty years ago. We recently acquired a new copy, so I asked one of my student assistants to scan the book, and we’re making a digital edition available on our digital repository. You can find it here. Along with her memories of life in tsarist Russia and her stories of surviving the Russian Revolution, she also writes of her love for her country and her adopted country as well. It’s worth a read to learn a little more about one of the characters that has shaped life at Wofford. The groundbreaking of the new Jerry Richardson Indoor Stadium gives us a chance to recall the construction of two earlier athletics facilities, the Andrews Field House and the current Campus Life Building. Andrews Field House replaced an earlier gym, but the previous building was not large enough to hold athletic events. Andrews was expanded twice, once in the late 1940s for racquetball courts, and later in the 1960s for locker rooms. But, by the late 1970s, it was becoming inadequate for the college’s athletics needs. In the late 1970s, the college moved to construct the Campus Life Building, and on January 22, 1981, the Benjamin Johnson Arena was dedicated. The women’s basketball team played the first game in the new arena prior to the dedication, and the men’s basketball team played its first game against the Citadel following the dedication. 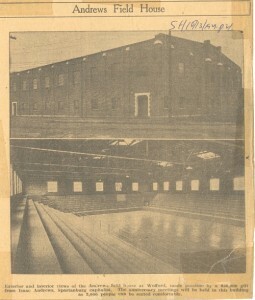 The new arena had a seating capacity of 2,832 when it opened. The Campus Life Building, dedicated in November 1980, was a much-needed addition to the college’s facilities, bringing a number of different student life offices and spaces together in one building. The building has seen countless theatre productions, community events, and student lunches in the canteen, Zach’s, since it opened. When the men named by the Rev. 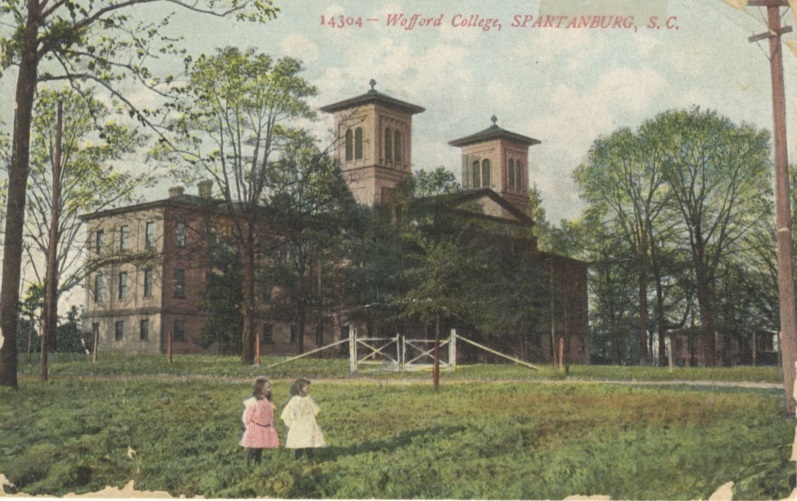 Benjamin Wofford as his trustees gathered on April 16, 1851 for their first meeting at Spartanburg’s Central Methodist Church, they found a growing community excited by the prospect of having a college. 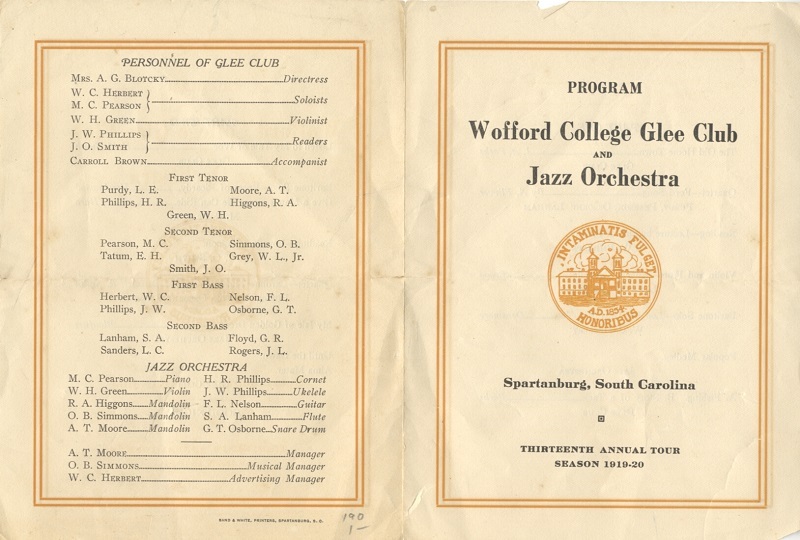 Word of Wofford’s tremendous bequest “for the purpose of establishing and endowing a college” had spread quickly following his death the previous December 2. 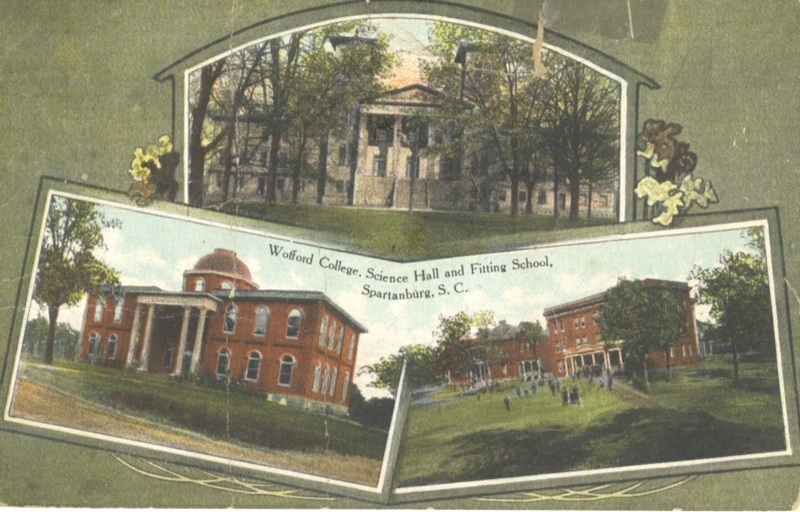 By April, residents in Spartanburg, Glenn Springs, and Woodruff were all making bids to become the home of the new college. After the trustees met and voted to name the new institution “Wofford College,” they visited a few sites around the town and county. 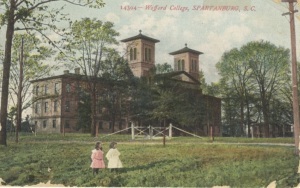 Quickly, they agreed to purchase forty acres of land on the northern border of the town of Spartanburg to found the college. 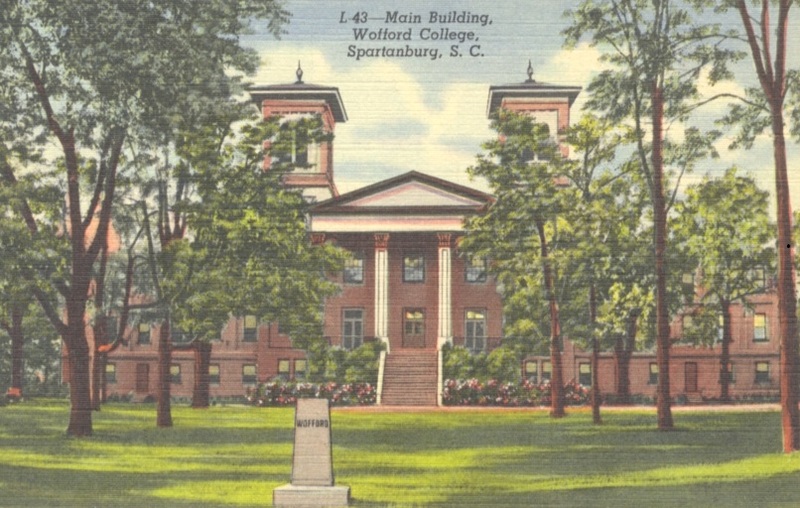 The Carolina Spartan described the land as a “most lovely elevation, embracing lawn and woodland, about one half to three-fourths of a mile north of the Court-House…” The trustees planned to have a great celebration on the Fourth of July to lay the cornerstone. Some 4,000 people gathered at the corner of Church and Main streets on the morning of July 4, 1851, according to the Carolina Spartan. Major G. W. H. Legg acted as marshal, organizing the procession and leading it on horseback. 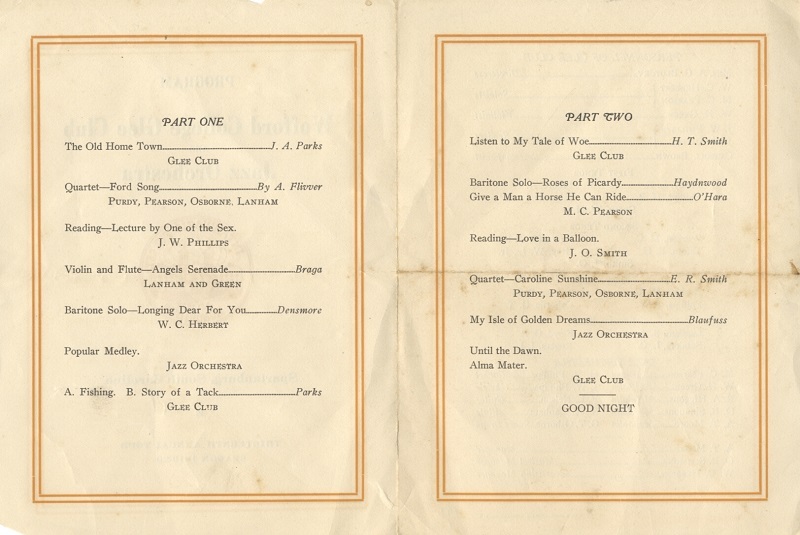 One of his assistants in the festivities was William Walker, the author of Southern Harmony, who was famous for his shaped note hymns. Participants came from all over South Carolina and the nearby North Carolina counties. The Sons of Temperance led the procession, followed by the Odd Fellows, and then the Masons, all wearing their regalia. The members of the Board of Trustees and Methodist clergymen followed the fraternal groups, with members of the community at large behind the clergy. Several bands participated in the festivities. The procession from the courthouse square to the College stretched to a half-mile in length. Even more participants rode in carriages alongside the marchers. The cornerstone itself, “a fine specimen of granite” from a nearby quarry, was presented by Major H. J. Dean. 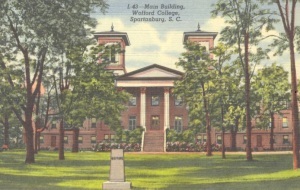 The cornerstone contained a lead box, into which the participants placed a Bible, a copy of Benjamin Wofford’s will, a lock of his hair and of Maria Wofford’s hair, a copy of the Southern Christian Advocate and the Spartan, and a police report with some statistical information about Spartanburg. In addition, the Sons of Temperance, the Odd Fellows and the Masons placed materials about their organizations into the cornerstone, and the building committee placed a silver medal engraved with the name of the founder, the date, and the amount of the bequest. Members of the audience placed a few other items in the box, and it was sealed. Almost a year passed before the building committee signed a contract to build the Main Building, and three years passed before the college opened its doors on August 1, 1854. Meanwhile, the cornerstone’s location was forgotten. The Spartan wrote that it was in the southeast corner of the building, though Masonic custom would have placed it in the northeast corner. College historian David Duncan Wallace speculated that the building might have been built such that the cornerstone was beneath an internal wall. By the early 1950s, with the college’s centennial looming, officials began to search for the cornerstone in earnest. While he was reading an old issue of the Advocate in November 1953, freshman George Duffie discovered that the cornerstone was in the northeast corner of the building. On March 2, 1954, the lead box was removed from the cornerstone, but a leak in the box had caused most of the contents to be ruined. After a few months of display in the library, the contents were replaced in the cornerstone in a ceremony on Founder’s Day 1954. A plaque above the cornerstone will keep members of the community from forgetting where the cornerstone rests in 2054.